A beautiful 71 degree December? day was the perfect day to fly the little Cherokee. I finally got a chance to fly the little plane that I rescued almost 10 months ago. After years of seeing it sit unused I finally decided to try and rescue it along with my friend Cody. We were able to test fly it last week for the first time in 10 years and now this week I was able to personally take her around the patch for a quick spin. 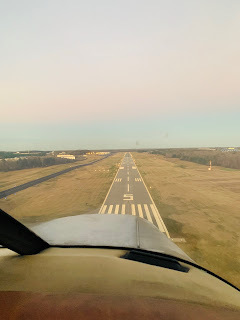 And Cody who helped me fix the little plane and always believed it could be airworthy again, was able to go around the patch as well with a CFI. His first time flying a low wing non-LSA aircraft! Time to upgrade that sport license to a private!